As a rider of various subway/metro/underground systems I was curious where would I find the oldest fleet still in operation. NYC subway C line has cars built in the mid 60s. I was wondering if there is anything older than that? If Wikipedia is up-to-date, then Buenos Aires has a good claim to having the oldest subway coaches in commercial service in the world, built between 1913 and 1919. They have been running on line A since its inception. These trains were being phased out as of 2010; I'll let someone with a better grasp of Spanish determine whether they are still running now. I thought some impoverished East European cities had old stock, but they all seem to have renewed anything pre-1970. The London Underground ran A60 and A62 for about 50 years, since the early 1960s. These trains were due to be phased out in the early 2010s; the TfL plans called for A stock lasting until 2015, but the replacement seems to have been expedited. The Metropolitan line might still be running some. In the Tube, the 1959 stock is no longer doing passenger service but is still used for deicing in winter. Pyongyang runs trains imported from Berlin, both West and East. The Dora trains were built between 1957 and 1965 and are now running a quarter way around the world from their youthful home. If you're willing to accept streetcars, then Hong Kong is still running rebuilt cars from the 1950s (older cars from the 1930s have been scrapped). 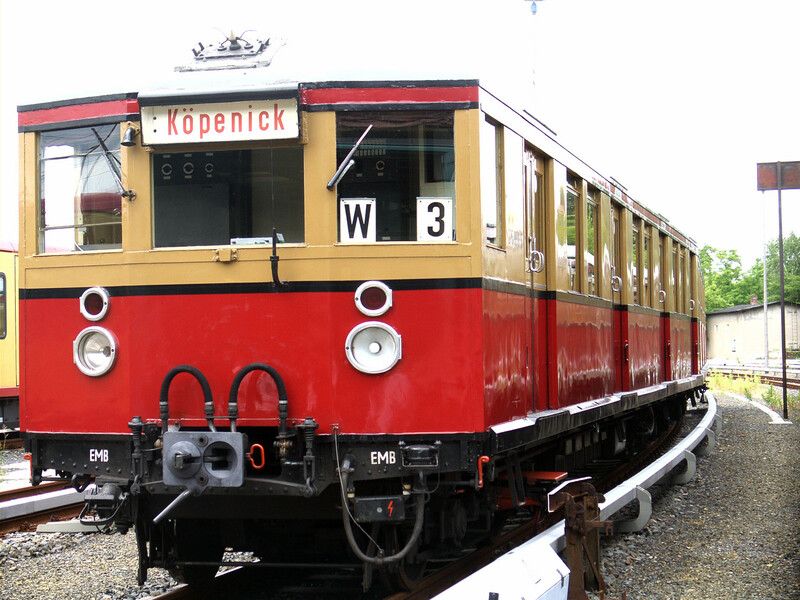 The Isle of Wight line (in England) still has 1938 ex-London Underground rolling stock in active service. The Schwebebahn suspended monorail in Wuppertal, Germany, not far from Cologne, still trots out Emperor Wilhelm's Kaiserwagen, built in 1900, for special occasions and tourist charters. It's not in daily service though. 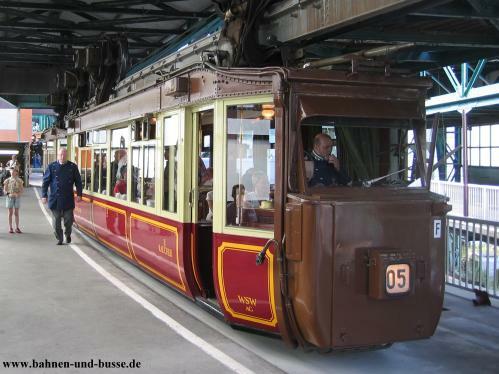 They’re not exactly the oldest and they are not a subway but an S-train, but they still fulfil the remaining requirements somewhat, especially since they use third rail electrification: The S-Bahn in Berlin still has four historic EMUs that will operate for touristic reasons. Two are class ET 165 as seen in the image (taken from Wikipedia). Another two historic EMUs are class 167. They are DMU's with two axles used only by CFR (national rail company), built from 1935 to 1950, first refurbished in the 60s changed their motor from a Ganz of 130 hp to a Raba-Man of 180 hp, at the second main refurbishment from 2008 some of them got a new motor a Volvo Penta 226 hp, and a new paint scheme. In Romania, Malaxa railbus class 77, built in the 30s, runs on different routes, with a low number of passagers. Besides the antique cable cars, which are a protected National Monument, San Francisco runs historic streetcars on a daily basis. ("F" line.) Most are the PCC streetcars from the 1940s and 50s. Some are Peter Witt streetcars originally from Milan, which were built in 1928. There is one from Melbourne, Australia built in 1929. 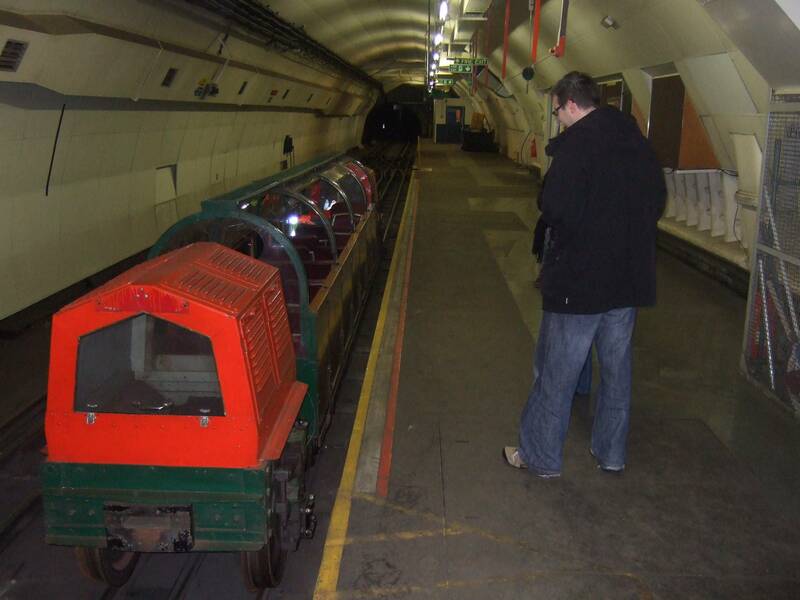 Just down the road, Mail Rail allows the public into the tunnels of the Post Office’s private underground railway for the first time in its hundred-year history. Visitors can ride a looping mile of track to encounter the industrial heritage and secret geography of the capital. It's not quite clear exactly which rolling stock and carriages they will be using, however according to this page, the two existing passenger carriages were built upon 1927 and 1930 base units. Not the answer you're looking for? Browse other questions tagged trains public-transport where-on-earth factoids or ask your own question.